This entry was posted in Guatemala, Mom's Monday Mingle, Toastmasters and tagged Bob Hentzen, Podemos Hablar, TEDxFSU, Uptalk, Verbal Crutches by Paula Kiger. Bookmark the permalink. Wow, Paula — that’s ambitious — bilingual Toastmasters! Congratulations. I have almost zero tolerance for bad speakers. I say almost because sometimes I stick around and take notes for my “what not to do” examples in my own presentations! Rob, thanks! Or gracias! I, too, have very little tolerance for bad speakers. It often seems to me that good speaking is going the way of good writing …. becoming more and more rare. 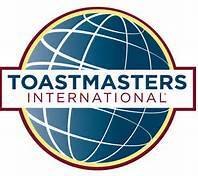 I should have also mentioned that Toastmasters has an emphasis on leadership and meeting management too (there’s a lot of protocol involved regarding how the meeting is conducted). Guess I will save that for a later post! I love, love, love Toastmasters. Finding a great group rounds out the experience. I was blessed to be a part of a great group back in Brooklyn, NY. Table Topics was always my favorite part of the meeting. I have so many ribbons for winning Best Table Topics. The leadership roles in Toastmasters are great too. I’m always recommending TM to others. Its a great way to better your speaking skills, meet like minded folks and become an excellent leader. All the best to you on your new journey~! Thanks Yvonne! I really appreciate you taking the time to comment!